Digitized machine embroidery files for completing the "Merry Christmas to You" door banner/wall hanging as seen in the project photo. 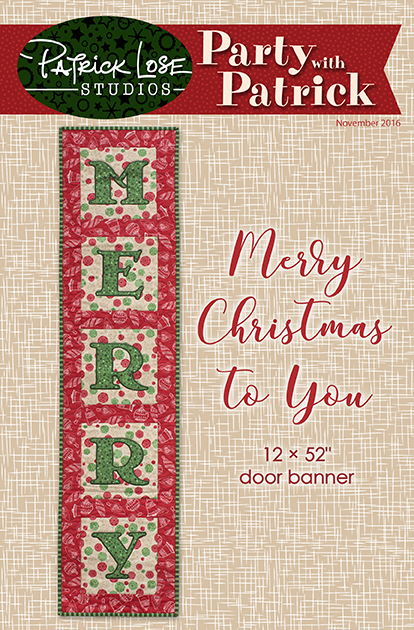 You must have a copy of the Winter 2018 issue of Celebrations in Quilting if you want the pattern and instructions for creating the project. You will receive embroidery files and a stitching master, only, with this purchase.